The segment is called "People Behaving Badly" by Stanley Roberts with KRON 4 in the Bay Area. This particular episode centers around the people abusing the car pool lane. 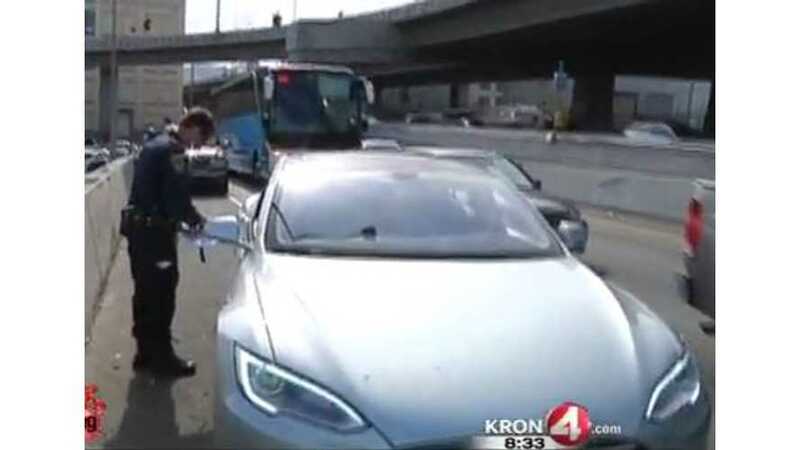 And if you're one of those plug-in car drivers who refuses to put those unsightly green or white HOV stickers on your car, then you just might end up getting a $515 ticket, like the owner of the Tesla Model S does in the KRON 4 video. "The only people who don’t need to follow that law are people with a two-seater car, a truck with six or more wheels, or cars with a green or white clean air vehicle sticker." Without the stickers, you're in violation of the law.